JUNG Hebe- und Transporttechnik GmbH is adding a flexible new adapter solution with a whole host of benefits to its tried-and-tested range of trolleys for ISO containers. 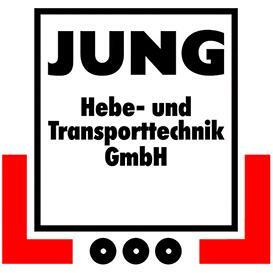 Founded in 1972, JUNG Hebe- und Transporttechnik GmbH has gone from strength to strength. The most recent major breakthrough, in 2009, was designing a company building to optimize existing processes by accommodating final assembly, the storage of finished products and shipping operations in one particular section. The capacities this freed up further improved the focus on developing solutions to lift and move heavy loads safely. Transporting sea containers without using large equipment poses a particular challenge. JUNG has been supplying tried-and-tested transport trolleys designed specifically for ISO containers for a number of years. These trolleys are used to transport containers into and out of production halls and warehouses, and also in surfaced outdoor areas. JUNG is now adding a flexible new adapter solution to this well-established range and recently unveiled its new system to the public. The solution consists of container cross-members with twistlock sockets. These cross-members can be used on the standard trolleys and fit securely onto them. The recessed pins are then extended into the ISO corners from below and attached securely to the container. As a result, the necessary (lift) height is far lower than with previous container trolleys. In conjunction with JUNG's JKB rotating transport trolleys, a triangular pulling handle and the standard cassettes at the rear, this new solution makes light work of guiding and maneuvering containers just like a single-axle trailer. Combining the new cross-member with the tried-and-tested standard tandem trolleys and trolley cassettes also makes it much easier to move containers.